Over the subsequent fifteen months, National Park Service staff, local volunteers, and college and high school students monitored Snow’s decomposing corpse and were able to retrieve her entire skeleton. It took another ten years for NPS staff and community volunteers to thoroughly clean the bones through a variety of measures from pressure washing to boiling to sun bleaching. 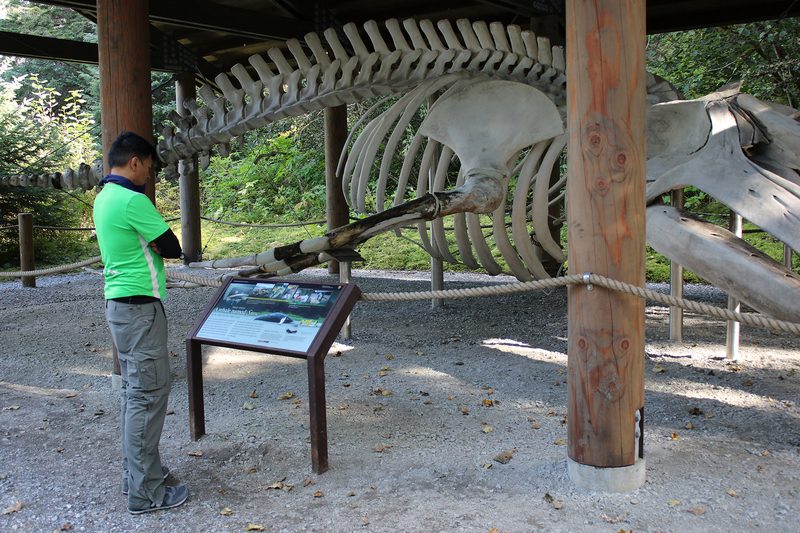 The bones had to be absolutely clean and odorless so as not to attract rodents or even large mammals when they were displayed outside. The Park contracted with articulation specialists in October 2012 to complete the preparation of the bones, and Snow’s skeleton was transferred to Maine to be worked on. 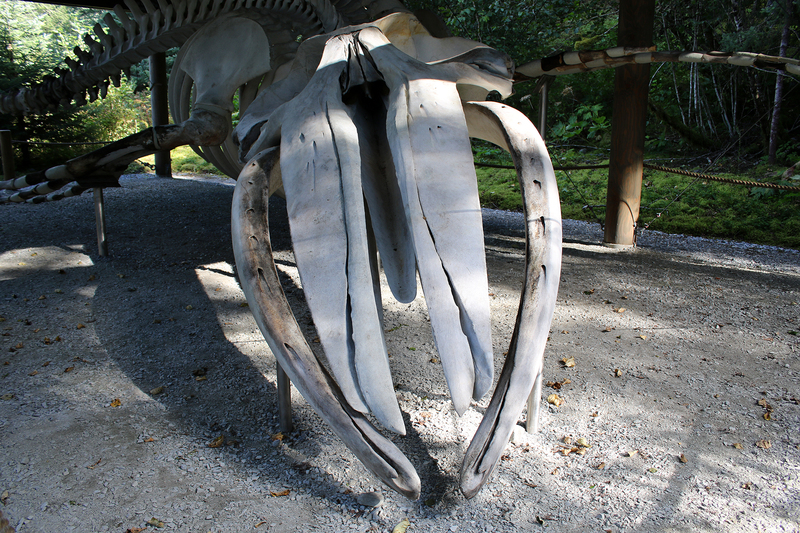 After all of the remaining flesh and cartilage and (most stubbornly) oil were removed, damaged bones were repaired, and construction of the outdoor exhibit began. On June 25, 2014, Glacier Bay National Park celebrated the grand opening of the Snow exhibit. 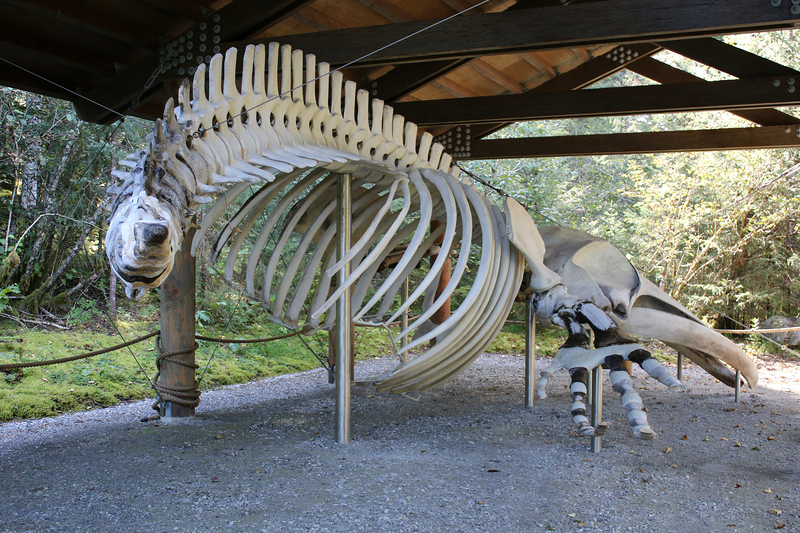 Snow’s skeleton is 45.5 feet long and weighs 3,729 pounds, making her the largest Humpback Whale on display in the United States. 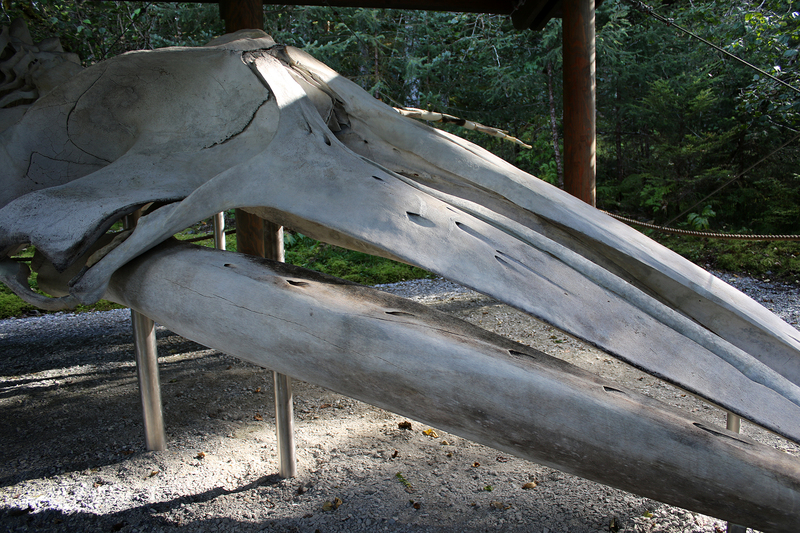 Snow’s final home is in a pavilion along the path between Glacier Bay Lodge and the dock area of Bartlett Cove. Sean and I both found the exhibit peaceful and deeply moving. The National Park Service at Glacier Bay National Park deserves high praise for transforming a tragedy into an opportunity for research and better stewardship (Snow’s death led to tighter rules and restrictions imposed on cruise ships in Glacier Bay). Snow’s legacy is a palpable sense of the specialness of Glacier Bay and the many people from Park staff to community volunteers to researchers to Native Alaskans who worked to ensure that Snow would be appreciated and remembered and learned from by future generations. The Glacier Bay National Park website has an entire section (and blog) describing the retrieval of Snow’s skeleton, the research contributions she made, and the creation and opening of the exhibit. It is well worth spending some time with.